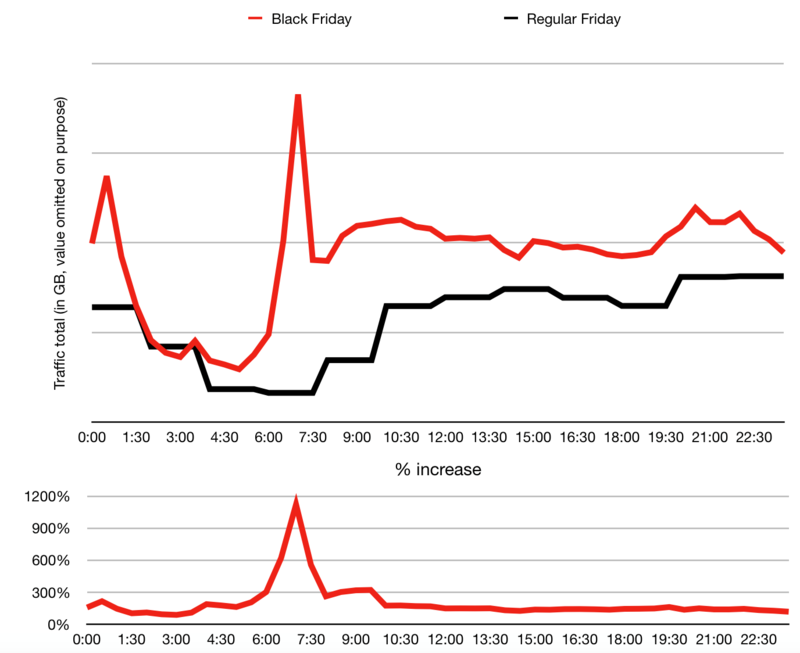 Black Friday is the hottest day of the year for any retailer. Traffic and demand increases exponentially, and peaks in traffic are as high as you can get. Most websites experience difficulties and it hurts both customers and companies. Not our clients though, as graph shows. Data is in: The E-commerce websites we host in Romania experienced virtually no downtime despite over 1000% increased traffic. Bigstep clients have received praise from satisfied customers for experiencing no downtime and no lag despite the increases in traffic seen in the graph below. The peak time of Black Friday is between 06:00 and 08:00 AM, after people wake up and before stocks run out. On some website the increase in traffic reached 1200% and the websites ran normally. The core of this performance is Bigstep’s own blend of bare metal cloud. We worked closely with our customers to prepare and to our knowledge no issues were seen in coping with demand. Bigstep provides all the power and privacy of the bare metal with the flexibility of the cloud. By not using any virtualization, Bigstep’s Bare Metal Cloudis the highest performance cloud in the world, proved to provide up to 500% better performance as compared to virtualized public clouds. The Bigstep’s servers are completely elastic and do not make compromises. For more info on our services please check out Metal Cloud Overview or contact us on bigstep.com for a custom offer. The Internet of Things: Is Your Business Prepared?